• Am I allowed to have HealthQuest installed on more than one computer? • I would like to know if HealthQuest can be networked within the clinic? ..... room and then be able to view it in the dispensary area? • Does networking HealthQuest over several computers require additional licences? • Is networking HealthQuest easy to set up and start using or do I need a pro to do it? • What would be the price to network several computers in my practice? • Is it possible to do a Mail Merge with HealthQuest? • I definitely need to improve the marketing of my business; can HealthQuest help me do this? • Can we put our own company logo on the customer receipts? • Is HealthQuest regularly updated with new information etc? • Are there regular upgrades to the program? • What is the cost of upgrades and updates? • If I wanted to buy one of your systems, what payment methods are acceptable? • Do you have any information brochures or posters for in-clinic marketing of the BIA system? ..... stand-alone consultation price or is it an additional cost to the consultation? ..... consult - $80 for the initial 1 hour consultation and $60 for a standard 30 mins). ..... not double handling by having to type the results in? ..... form or Bach flower selection sheet can I add these anywhere in the software? Q1. Am I allowed to have HealthQuest installed on more than one computer? A. HealthQuest is sold as a single user program for the use on one computer. It is OK if are working in two practices to have a copy for yourself on each computer, or to have a copy on a computer at your clinic and one on a computer at home. 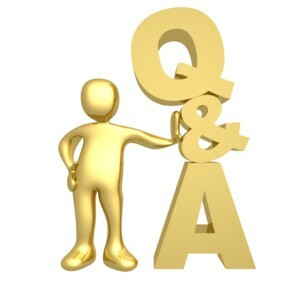 Q2.I would like to know if HealthQuest can be networked within the clinic? A. In a Word - YES! Q3.Would it be possible to write a prescription for supplements or herbal medicines in the consulting room and then be able to view it in the dispensary area? A. Yes, you can use any part of HealthQuest over the network on any computer once the program has been networked. Q4. Does networking HealthQuest over several computers require additional licences? A. Yes, you can purchase other licences as required. Networking requires additional software, and a licence fee for each computer on the network. Q5. Is networking HealthQuest easy to set up and start using or do I need a pro to do it? A. You don't need a pro to install the software and get it up and running. It is a very straight forward process. When you are ready to install the networked system, I can help you with the process of setting up. I develop and sell the HealthQuest Patient & Practitioner management systems. I run the Patient Order System that allows a practitioner's patients to have Orthoplex and Dr Vera's products sent direct to their home on their practitioner's prescription. I have to be able to run a Practitioner database, a Patient database, an Invoicing system, an Accounts system, a Cashbook, a BAS reporting system etc. I also have to be able to send out monthly accounts and POS commission payments at the end of each month. This all runs smoothly across a network that includes 3 work stations and a server. I am very sure that you will find that HealthQuest will run you business as well as it does my own. Q6. What would be the price to network several computers in my practice? (We would be using the receipts and patient data in our reception computer, but I would like to be able to access the patient records and financial areas from my office computer). A. The price of an additional licence for HealthQuest is $247 + gst per additional work station. Q7. Is it possible to do a Mail Merge with your system? A. You can create any number of mail-out letters and send them to individual patients or to groups of patients at the click of a button. The mail-out letter database can contain up to 1.6 million different types of letters - more than enough to handle a practice! You can create any number of different marketing campaigns e.g. - Monthly newsletters, product or treatment specials, patient education evenings etc. You can then assign patients to any campaign or number of campaigns that you wish, either individually or as a group. Q8. I definitely need to improve my marketing ... Can HealthQuest help me do this? A. Both the HealthQuest Patient and Practice Manager and the HealthQuest Business Manager contain a powerful and easy to use Marketing system. It allows you to create marketing campaigns of any kind that you choose (monthly newsletters, email campaigns, mail outs, phone campaigns etc.) You can attach a patient to as many campaigns you wish and then search for patients assigned to a particular campaign (e.g. weight control) and find them instantly for marketing purposes. Running focused and organized marketing campaigns, with the least amount time taken from your other valuable tasks, makes an enormous difference in today's competitive climate. The marketing system allows you to send out form letters, emails and faxes or conduct a phone marketing campaign to any patient or group of patients that you choose. Q9. Can all the vital data - patient records, invoices, products etc. be backed up in case of a major hard drive crash? A. Yes, you can back up onto a Memory Stick, a CD or even better yet - and this is what I do - use the Carbonite on-line backup system. With Carbonite you nominate which folders you want Carbonite to backup and the program does it automatically throughout the day and night. You never have to worry again about losing data as it is ready for instant retrieval whenever required. I was in full panic mode until I found that my irreplaceable data was safe! You pay a small yearly fee of $59.95 for Carbonite and all your backup worries are gone. If the worst did happen and you had a computer crash, a fire or a theft and lost all of your backups, programs and computers - You have immediate access to your current program and vital data with Carbonite. All you have to do is download your data and away you go again with minimal delay or disruption. Click on the icon above for your 15 day FREE Trial. Q10. Can we put our own company logo on the customer receipts? A. Yes you can. Just supply the logo and we will send you your program with the logo included. Q11. Are there regular upgrades to the program and is the HealthQuest regularly updated with new information etc? A. You can update, add to or change any of the data stored in the program yourself, including supplements, herbs, protocol information etc., whenever you wish. Other data is available that can be downloaded and imported into your Knowledge Database from time to time. Major upgrades occur about every 12 to 18 months. Q13. What is the cost of these upgrades and updates? A. The cost of the upgrades depends on when you last upgraded your program and the size or extent of the upgrade. Please phone Quest For Health for a quote. Q14. If I wanted to buy one of your systems, what payment methods are acceptable? A. You can pay by cheque, Visa or Mastercard, money order or direct deposit. It is much better to purchase HealthQuest with a Low Interest Credit Card than using a personal loan or a high interest credit card. An AUSSIE home loans MasterCard or a Bankwest MasterCard have an interest rate that is only ½ the other credit card providers. That way you can pay it off as slowly or as quickly as you want, and as an added bonus, the entirety of the payments are tax deductable! For example  with an AUSSIE MC @ 9.99% you could purchase the complete HealthQuest Patient and Practice Manager + the BIA system for $2995 (+GST) and pay it off over 24 months at only $35 per week. That way you are not tying up your capital. Q15. Do you have any information brochures for in-clinic marketing of the BIA system? A. Yes, please call or email us. Q16. In your experience what do you find most practitioners charge for a BIA analysis? Do they have a stand-alone consultation price or is it an additional cost to the naturopathic consult? A. As far as the consultation cost is concerned, using the BIA system together with a naturopathic consultation will allow you to see a client more frequently then if you were just giving a naturopathic consultation by itself. You can shorten the time of a consult as you are seeing them more frequently and don't need to cover as many areas and explanations in one consult. This is better for your clients as they will get the information they need and a step-by-step approach to their treatment program spread over a longer period of time. This makes it easier for them to understand just where you are taking them what they need to do, as well as helping to increase the compliance of your clients. Q17. I am just trying to work out how I can take the best advantage of the HealthQuest BIA system in my practice. (my current charge for an initial consult - $80 for the initial 1 hour consultation and $60 for a standard 30 mins). A. What I would suggest is that you charge $70 per ½ hour for all your consults - this includes 1st visits as well as ongoing visits. You should see the client once a week for the 1st 2-3 weeks to get them underway, then once fortnightly for 2-3 visits. Then you would see them each 2-4 weeks depending on the type of treatment they are having, or whether they are in a weight loss program. The BIA appraisal would be included in that time as well. If you limit the initial consult to ½ hr the patient as I mentioned before, this is better for your clients as they will get the information they need in stages and a step-by-step approach to their treatment program spread over a longer period of time. This makes it easier for them to understand just where you are taking them what they need to do, as well as helping to increase the compliance of your clients. It gives you several visits to get to know your patient better and understand their health challenges. It also lets you receive the proper value for your services. Your fee for the 1st consult at the moment is only $40 for ½ hr, this is not enough - you are definitely worth at least $70 for ½ hr. You need to be well organized to get through the 1st consult in the ½ hour. You will need to have information about their treatment in a hand out to save you having to spend a considerable amount of time going into a detailed explanation of their treatment. By providing the patient with informative handouts, you only need to give them a brief overview of their treatment during a consult and the printed material will give them the details. Another advantage of giving out the information is that it is a good way of marketing yourself to other people. Patients are only too happy to show their friends and family their results and information. Q18. Are people able to complete the questionnaires on line on our web so as we are not double handling by having to type the results in? A. No, you don't need to have your client do them on-line. Send the questionnaires out to the patient or have your client down-load them from your web site for completion before they come in to see you. Then, when they come in, all you have to do is enter the totals and not the whole questionnaire. It takes me 1 ½ to 2 minutes maximum to tally the scores and then enter the totals only into HealthQuest. Another advantage in using this system is that when you see a high priority score on the Health Graph, you can go back to their questionnaire and see what answers they gave that resulted in the high scores. This allows you to very quickly home in on their underlying problem areas without having to ask a whole lot of questions. Q.19 If I have forms that I want to add to the system like for example my personalized new patient form or Bach flower selection sheet can I add these anywhere in the software? You can't add the forms for data entry but you can enter the forms for printing out and enter their answers into notes area of the program. Q20. The system looks very comprehensive I don't know if I am that clever to use it all to full capacity? A. It is not a matter of being clever enough to be able to fully utilize HealthQuest. HealthQuest comes with over 7 hours of mini-movies that allow you to train yourself, at your own pace on any area of the program that you choose. We also provide FREE Telephone and Email support during business hours for 18 MONTHS after you purchase HealthQuest. If you have problems that are more involved, we offer a direct computer-to-computer support (with your permission). You can even watch while we help you to resolve your problem. Q21. Can your system be used to perform a track and trace in the event of a product recall? A. Yes - you can enter batch number and expiry dates for all products and these details are included for each receipt in a special area of the Receipts program. You can do a search and find the receipts of those patients who were sold any product at any time. Those patients can then be contacted if a recall of a product is required.